Most online customers need to have at least two steps on the web to make a purchase, according to data that Google made available this week. Two of those steps might be a paid search ad or an email marketing message. This sort of two step sales process accounts for 65% of all retail sales online. Google, which jumped into the same day delivery business recently, announced this effort this week with a product called The Customer Journey to Online Purchase. Yeah it doesn’t sound like fascinating bathroom reading material. And actually, it is not paper based at all. It actually is a new website where users can play around with information that will show them how online shoppers utilize Internet marketing. The data is based upon online marketing data from 35,000 Google clients. Those clients use Google analytical tools and account for many millions of purchases across many industries in seven countries. Google Analytics is utilized by about 160 retailers in the Internet Retailer Top 500 Guide, and 300 in the Second 500 Guide. This new data-intensive tool could really have an impact on how online marketers allocate their marketing dollars. A user might see an ad, click the link from a friend or conduct a search before they buy a product form your site. All of these actions can play a role in the sale. Google says that it is important to grasp the entire customer experience and journey to a sale so that you can measure everything that contributes to the success of your campaign. The industries in this data include retail, cars, consumer packaged products and technology. In the latter case, the data shows that it takes over 28 days to get to a purchase, which are worth 3.5 times more than immediate purchases. 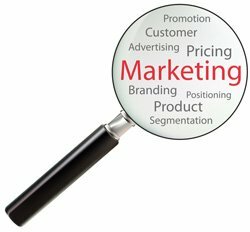 Some of the data that you can review are the average order values by the days needed to research before purchase, and how several online marketing techniques affect sales. Google should garner some positive headlines for this latest marketing data advance, unlike some of the headlines they are getting for Google Glass. But hey, all publicity is good publicity, right?